Often, wisdom teeth do not have enough room to come out normally or they are in the wrong position. Over time poor alignment of wisdom teeth can cause shifting or damage to adjacent teeth. Wisdom teeth are also more prone to infection and tooth decay due to the awkward alignment and the difficulty to keep clean. Wisdom teeth can also be impacted (enclosed in the jawbone and soft tissue) or partially erupted. In such cases, with time, wisdom teeth are at a higher risk to develop cysts or cause infection in the jaw and may require oral surgery. When Is The Best Age To Have Your Wisdom Teeth Removed? We recommend our patients to have their wisdom teeth evaluated in their mid to late teenage years. 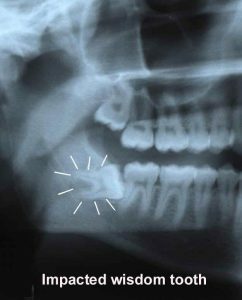 With a very simple X-ray you and your dentist will be able to see the positioning of the wisdom teeth and know if this is the recommended treatment for you. When wisdom teeth are diagnosed and removed earlier in their development, complications are reduced because they will be easier to remove. Before removing your wisdom teeth, a local anesthetic will be applied by the dentist or oral surgeon to numb the area where your teeth will be removed. If several or all of your wisdom teeth will be removed at the same time, intravenous anesthesia may be used. 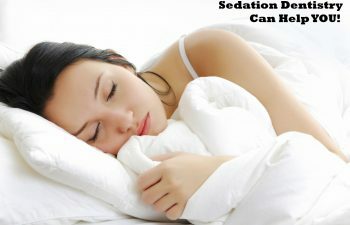 The benefit of using intravenous anesthesia is that it will have a twilight sleep effect that will allow you to go through the procedure comfortably and without pain. Your dentist will probably recommend that you don’t eat or drink after midnight on the night before surgery so that you are prepared for the anesthesia. What are Complications of wisdom teeth removal? Complications can include pain and swelling of the gum tissue in the area of the removed tooth, excess bleeding, pain and/or difficulty opening your jaw, damage to nearby teeth, a painful inflammation called dry socket if the protective clot is disturbed too soon during healing. Dry socket is most likely to occur if the patient is a smoker and continues to smoke during the early healing phase. Complications are unique to each individual but it is important to seek treatment from a skilled Oral surgeon so that complications will be minimal. Instructions will also be provided to you on how to minimize potential complications. Recovery time will range depending on the complexity of the extractions. For most cases, recovery time lasts for only a few days: anywhere between 1- 5 days. Complete healing of your gums and extraction site can take up to 3-4 weeks. Instructions will also be provided to you on the day of your treatment on how to care for your teeth and gums in order to insure a smooth recovery period. Contact our Marietta Wisdom Teeth Removal Office today if you have any other questions or concerns and we will get back to you within 24 hours.